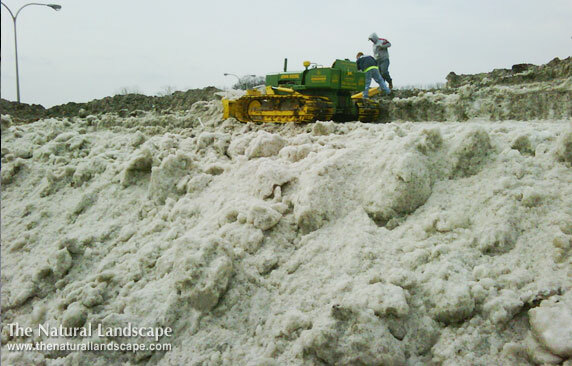 Be prepared for winter with a Winter Storm Management Program from The Natural Landscape. Our snow plows are always ready to tackle the tough New England Winters. We're on call 24 hours a day, every day. No commercial job is too big. We always have up-to-the minute information on local weather conditions and will never leave you out in the cold when it comes to snow removal. Our business model is set to run at 80% capacity should the need arise for backup machinery, allowing us to service accounts mid-season when other contractors are overcommitted. Each property we service is assigned a site-specific snow and ice response plan. We track our vehicles and crews with GPS and documentation systems which means slip and fall claims can be significantly reduced.